White 5 Panel Barn Door | Arches Trading Co. 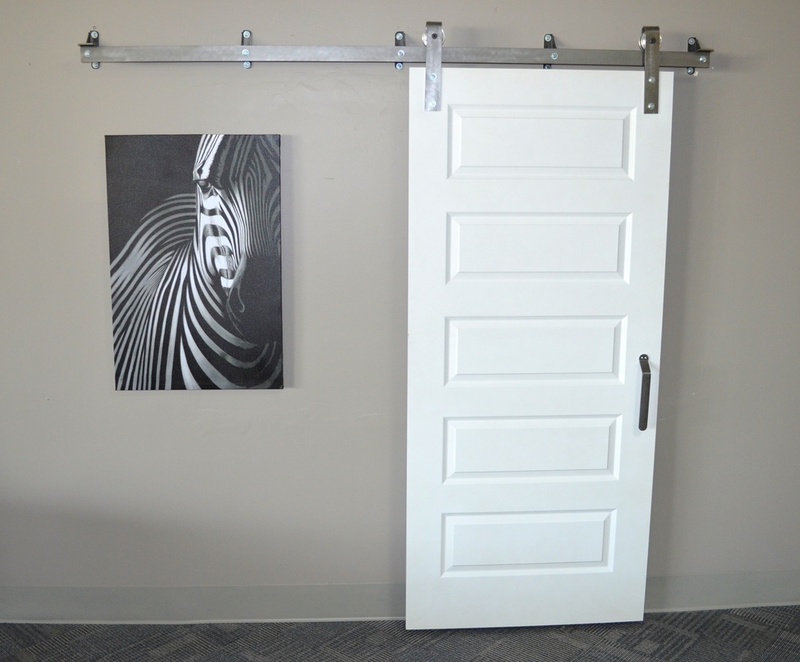 This barn door package comes complete with a 6'8" x 3'0" hollow core five panel door in the color you choose. You will also receive a hardware package equipped with a 7' track with pre-drilled holes, hangers with wheels, wall mount brackets, floor guide, a handle, and all nuts & bolts to complete installation. Door colors include: White, Black, Espresso.